Posted by Onely in film review, Heteronormativity, Pop Culture: Scourge of the Onelys. FROZEN is mostly just another stupid Disney Princess movie, with one tiny difference. As the film progresses it becomes apparent that our main heroine (a princess) can only be saved from her horrid fate (slowly turning to ice) by an act of True Love. We’re led to believe that this will come in the form of True Love’s Kiss by the bumbling but good-hearted sledgedriver named–something, forget. I’ll call him Burt. However, in the climactic penultimate action scene, the True Love occurs when–SPOILER ALERT, FOR ALL OUR COPIOUS READERS WHO ARE ALSO DISNEY PRINCESS FANS–the princess selflessly saves her sister’s life. They hug and say “I love you!” Moreover, our princess heroine never even marries Burt. There are no couples riding–or sledging–off into the sunset. Instead, everybody in the kingdom gets together and ice skates. The last “couple” we see up close are the two sisters, skating together. I grudgingly say “Good for Disney.” Grudgingly, because I loathe Disney, not only for their singlism and marriage mania, but for their sexism and racism. Just some random examples: All the princesses look the same–skinny, with ginormous eyes and tiny or nonexistent ears. 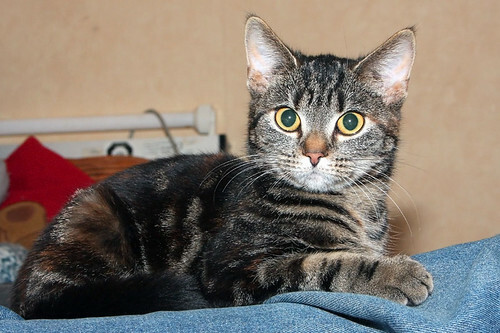 They vary only according to hair color or style and–if we’re lucky–skin color. I barely need mention that their fates revolve around men. And in Aladdin, all the Arabs except for Aladdan have accents–meaning that all the bad guys sound like they are actually from the region where the story takes place, whereas Aladdin sounds like he grew up tipping cows in Indiana. So I look at FROZEN as one small step in a journey of about ten million miles that Disney needs to walk in order to undo all the damage they’ve done to little minds over the years. Posted by Onely in Celebrities, Guest Posts, Pop Culture: Scourge of the Onelys. Bedrick, David. Talking Back to Dr. Phil: Alternatives to Mainstream Psychology. (Belly Song Press, 2013). Copious Readers, welcome to our ongoing series of interviews with Dr. David Bedrick, who proposes a “love-based psychology” that goes beyond the normative (restrictive) ideals that our society (as evidenced by Dr. Phil) puts upon people. Bedrick’s approach parallels Onely’s efforts to dismantle normative prejudices against unmarried people. We disagree with the idea that couples (whether socially coupled or married) are “better” than single people, or more deserving of government protection. The “single” side each of us possesses? Singlism, the discrimination against socially single or unmarried people, is missing from this list. Can you comment on this omission or provide some examples you have encountered where a single person has been impacted by seeking help from mainstream psychology? Bedrick: Thanks for mentioning this; I obviously have a blind spot here. It is good to be educated by you! I am thinking of two examples. First, a woman who was constantly critical of herself whenever she saw people coupled. She too believed she should be coupled and that she wasn’t because she had a personality flaw. That kind of thinking is very injurious to the psyche. Valuing her path as an individual and helping her notice the unconscious privilege of partnered people, especially in her family system, was very important. At another level, almost all of us have a “single” part of ourselves- a part that is either not interested in relating to other people or a part that is less open to accommodating their own impulses, directions, interests, etc. for others. This often makes negotiating relationships conflictual because we are encouraged to express our “together” part only. Our “single” part gets marginalized and later shows up as resentment, distance, tiredness, or even addictive patterns. Posted by Onely in As If!, Pop Culture: Scourge of the Onelys. So there I was, slouching in my massage chair, rotting my brain by watching the Grimm pilot, when I heard some singlist dialog. I sat up and sprang into action to write this post a month later. Fairy-tale monsters live in our midst disguised as humans, but fortunately there’s a handsome cop who can see through their disguises. 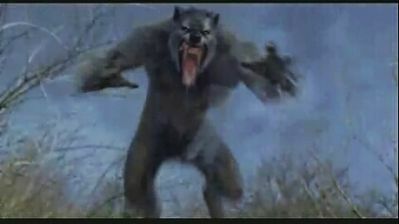 I tolerate the terrible dialog and acting (one woman actually dies by closing her eyes, opening her mouth, and dropping her head backwards in one fell swoop as she stands in our hero’s arms), for the chance to see werewolves. I will even–yes–tolerate tacky stereotypes of singles. He fits the profile! He’s a loner, he’s never been married, he lives across the street from the park. Posted by Onely in Pop Culture: HOPE for the Onelys, Secret Lives of the Happily Single, single and happy, Take action. Well, we’ve finally joined the 21st century: Onely’s on Facebook! If you “like” us, the bonuses are endless: You’ll receive updates about our blog posts, pro-singles events or occasions, as well as links to articles or websites of interest to the singles’ advocacy community. What’s more, you can add content of your own: Feel free to post to our Wall and know that you’re a member of a growing special interest group. Now all we need is for you to “like” us (for incentive, we’ve posted a special bonus link on our Wall). Luckily for everyone involved, it’s pretty easy: You can just click the “like” button over on the right sidebar of the blog, or you can search for Onely (we’re a page, not a person) from your personal Facebook account. Also, don’t forget that you can still connect to us via Twitter, email subscription, RSS feed – or you can go the good old-fashioned route of bookmarking Onely as a “Favorite” on your web browser! Posted by Onely in Great Onely Activities, Pop Culture: Scourge of the Onelys, Singled Out, STFU, Your Responses Requested!. We’re flattered, of course. But we know they’re liars. How do we know? Because they send us links and encourage us to direct you, Copious Readers, to their websites. And their websites are, more often than not, about dating, intensive coupling, heteronormativity, and matrimania. As our real readers know, this is not what Onely is about. So normally, we ignore the emails. Occasionally, we’ll send a kind but corrective reply. Although we always cringe, we generally take the high road, avoid the snark. We certainly don’t want to drag ya’ll into it. But this time, we just can’t help ourselves. Christina forwarded me the following email with the comment “Oh, for god’s sake.” Why? Because at same time the solicitor is sharing links that prove he doesn’t read Onely, he also says that Onely is a sincere pleasure to read. We would love to share with you an article that we just posted on our own blog! “20 Best Blogs for College Dating Advice” (http://www.onlinecollegecourses.com/2011/07/12/20-best-blogs-for-college-dating-advice/) would be an interesting story for your readers to check out and discuss on your blog. Either way, I hope you continue putting out great content through your blog. It has been a sincere pleasure to read. Dear College Dating Advice Guy: Are you sincerely reading now? Posted by Onely in Academic Alert!, Great Onely Activities, Pop Culture: HOPE for the Onelys, single and happy, Singles Resource. 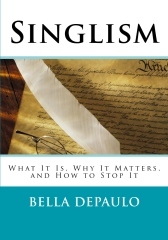 We are pleased to point all our Copious Readers to an important new PRO-SINGLES book, Singlism: What It Is, Why It Matters, and How to Stop It, edited by Bella DePaulo. The title says it all – the book demonstrates how singlism seeps into every aspect of our lives (politics, religion, law, pop culture) but remains generally unchallenged in the public sphere. 28 contributors (including DePaulo herself) articulate how readers can define, detect, and ultimately stand up to singlism in everyday life. Posted by Onely in Food for Thought, Heteronormativity, Just Saying., Pop Culture: Scourge of the Onelys, Singled Out, Take action, Your Responses Requested!. After Lisa conducted her Facebook experiment, we wondered, why is it that people can write anything they want on Facebook for their “religion” status, but not for relationship status? It seemed an eminently reasonable question, so I posted an eminently reasonable article and petition on Change.org asking Facebook to tweak their script a tad. I’ve included excerpts from the article and petition here, along with some of the comments they generated. As you’ll see, on the niche topic of singles’ advocacy, what is eminently reasonable to one person may be hellfire-and-damnation to another, even in a community of supposedly progressive thinkers. Facebook needs to make the Relationship status a write-in field. I at least want the option of flaunting of my relationships with my cat or my hairdresser. But there are serious, bigger problems at stake here. By forcing users to choose one “relationship” from a narrow range of options centering around marital status and sexual habits, Facebook perpetuates our society’s entrenched mate-mania, which over-worships the sexual-couple-unit, and marriage in particular. This bias devalues other important relationships. It devalues platonic friends and non-spousal family members. And it devalues people for whom conventional coupling/marriage is either not appealing or not an option. . . Please make Relationship Status a write-in field, as you have done with the Religion option. Since 2007, at least six Facebook groups have formed to advocate for broader definitions of relationship on the site, yet Facebook still requires users to choose from a short pre-set list of choices centering around marital status and sexual habits. Facebook’s current Relationship menu perpetuates our society’s entrenched mate-mania, which over-worships the sexual-couple-unit, and marriage in particular. Mate-mania is more than an irritating cultural quirk. It is actually codified into government policy. In the U.S. legal code over 1000 laws mention marital status, favoring married couples by a wide margin. This bias devalues other important relationships. It devalues platonic friends and non-spousal family members. And it devalues people for whom conventional coupling/marriage is either not appealing or not an option. That’s not what Facebook is about. Facebook is about facilitating connections–all kinds of connections. . .
A word about Change.org: I wrote for them for a year and really enjoyed the experience. Change.org is a powerful and successful liberal forum advocating for social change on a range of important issues, from women’s rights to gay rights to animal rights to human rights to environmental protection, largely through the use of online petitions. Every day hundreds of thousands of change-minded, open-minded readers browse, comment on, and sign the petitions. The Change.org community prides itself on thinking outside the box and advancing the rights of the disenfranchised. I think the cause of women’s rights needs to be taken seriously, and complaining about this type of stuff is a sure-fire way to lose points in the seriousness column. I fail to see how that has to do with women’s rights, when that is affecting more than just women. The problem … has to do with the normalizing of romantic/sexual relationships as primary to a person’s identity. Because Facebook regulates the categories through which we define our online identities, it appears abnormal — and in the case of “relationship status,” impossible — to want to define one’s own identity according to our own terms, rather than Facebook’s. Thus, calling for a broadening of what “having a relationship” might mean — as Christina does here — appears abnormal to some. Facebook’s regulation of which relationships are “possible” or “intelligible” participates in unjust systems of thought and action that attempt to regulate one’s ability to be recognized in larger culture as an individual deserving of equal rights…. While one’s online identity on Facebook may not seem to matter all that much in a local/individual context, I’d argue that Facebook’s popularity means that when it regulates particular aspects of a user’s identity as “normal,” that regulation trickles into the thinking/actions of the general public. As of April 9, 2011, the article had received 9,582 views since its inception in December 2010. Over 200 of those viewers signed the accompanying petition. And the other 9,000? Well, as we’ve seen, a number of them found the whole concept offensive. As is common with online petitions, a good proportion of the readers may have been too lazy, hurried, or cautious to hit the “sign” button and fill out their personal information (as I have often been). Regardless, almost 10,000 people now may think just a bit more critically when filling out their Facebook profiles. Posted by Onely in Just Saying., Pop Culture: Scourge of the Onelys, Singled Out, STFU, Your Responses Requested!. Copious Readers, we hate this commercial. Posted by Onely in As If!, Food for Thought, Heteronormativity, Pop Culture: Scourge of the Onelys, Singled Out, Singles Resource, We like. . ..
Whoo hoo! Great news for singles, right? We certainly think so — but you wouldn’t know it if you relied on the media to explain. According to most reports I read, the major stakeholders are lesbian and gay couples. Not that there’s anything wrong with that, but … ummm … what about lesbian and gay singles? Or … ahem … what about all singles (asexual, heterosexual, polyamorous, widowed, divorced, whatever). Posted by Onely in Pop Culture: Scourge of the Onelys, STFU Celebrities. Welcome to the first installment in our new series: STFU, Celebrities, in which we wince and kvetch about Hollywood’s heteronormative, couple-driven culture. When we were both alone, before we met each other, Sunday was the day we dreaded most, because when you don’t have someone in your life Sundays can be really lonely. Then when we met, we went from dreading Sunday to really loving it. It was the day when nobody was going to bother you, you could stay in bed, you could do what you wanted to do. That’s odd–you know why I like Sundays? Because it’s the day when nobody is going to bother me, I can stay in bed, and I can do what I want to do. I appreciate those things, even though I’m (gasp) single. P.S. Thanks to bangarang_dudette for flagging this on the Footloose Femails listserve.